This new 200 series Curved Soprano from Windcraft offers amazing value for money. 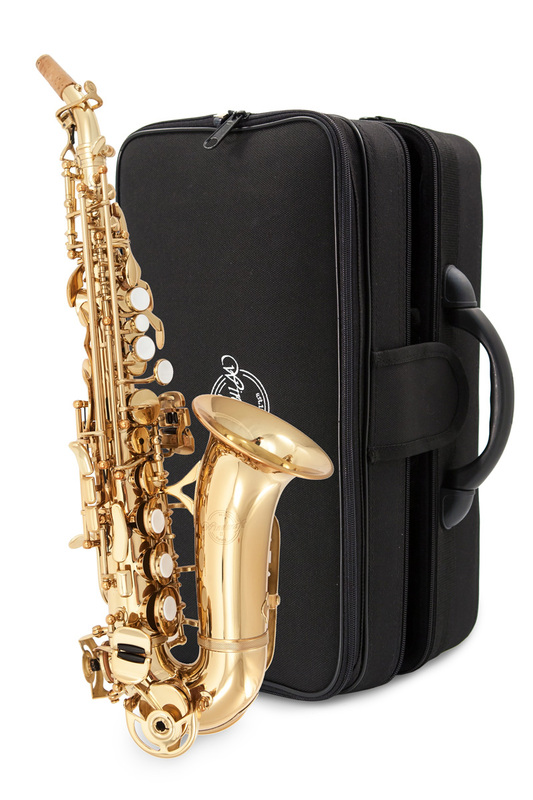 Designed for the advancing student or adult wishing for a good quality Soprano Sax at a more affordable price than others. The Windcraft brand has now been in production for over 6 years and the quality and tone has been firmly established. Now with this new 200 series the brand offers a higher level of construction quality and performance that is ready to match the more established brands. Produced under guidance from the Windcraft technical team the new WSS-200C feels great under the fingers, has solid intonation and a rich, full tone. Curved model offers immediate response and feedback for the player. The WSS-200C has a rich, solid tone, much improved from other student models. Quality materials used throughout the production process. Supplied with mouthpiece and protective and lightweight case.